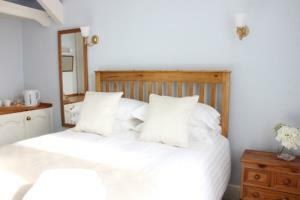 The largest Luxury room in our guest house. 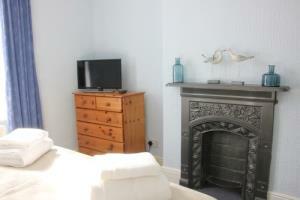 Is situated at the front of the property looking out over our attractive garden. 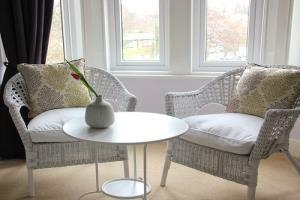 This spacious and modern looking room offers a king size bed with two comfortable chairs and a coffee table. 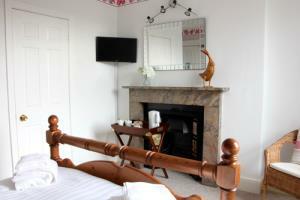 In the room there is tea and coffee making facilities, 32" TV with freeview, Wi-Fi and hair dryer. 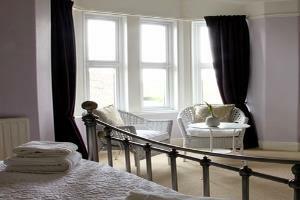 We believe that the decor and layout of this room would be an excellent option for a bridal suite for a wedding party. 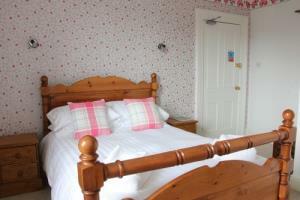 This double room, is a warm bright spacious room with a large double wooden bed. 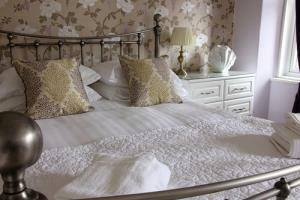 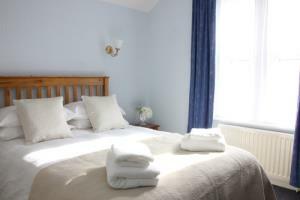 The attractive room contains en-suite shower room, TV with freeview, wifi, tea/coffee making facilities and hair dryer.